Burrito bowls are so easy to make and are perfect for a quick lunch or dinner. It's one of those healthy meals that you actually feel full after eating and is ridiculously tasty. I usually just add whatever veggies, rice & beans I have on hand but this combo is one of my favorites! 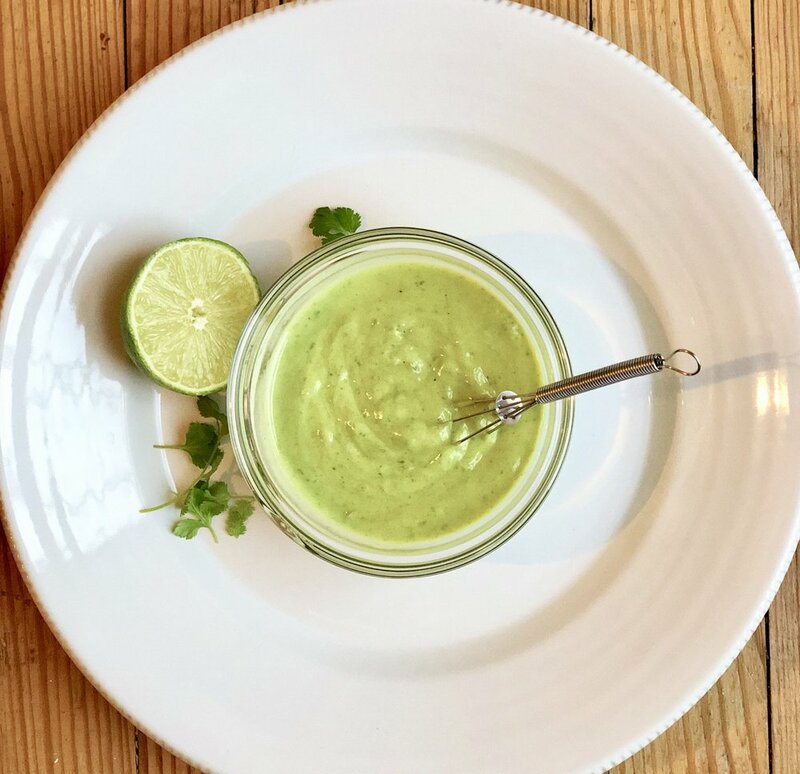 The Cilantro Lime sauce adds a delicious creaminess to the dish and gives it that extra pop of flavor. 1 cup cooked Brown Rice - If I don't have any cooked rice on hand I use Trader Joe's frozen brown rice, it's quick & easy. 1/4 cup Black Beans - I warm the entire can (drained) in a sauce pan with a little chili powder, s&p and cumin. Then save the leftovers for a salad or soup later that week. 1/4 cup cooked Green Lentils- I make my own (directions on the package) and save the leftovers. But if you are in a bind Trader Joe's has delicious precooked lentils. In a food processor or blender, combine all ingredients except olive oil & water. Slowly drizzle in olive oil. Add water 1 Tbsp at a time until it becomes a smooth & creamy sauce. Feel free to add in any extra veggies or whatever you have at home to make it your own! It helps to have your rice & lentils already prepared to make this dish super quick. If you have these items prepped you can whip it up in under 10 mins! I like to arrange mine all pretty but you can literally just toss everything in a bowl, drizzle some Cilantro Lime sauce on top and dig in! Pairs perfectly with tortilla chips & my Blood Moon Margarita!